Champion trainer Chris Waller’s venture into Queensland racing takes an interesting turn when two-year-old Soldati makes his debut at Doomben. Waller set up a successful Gold Coast satellite stable 13 months ago and has already had 55 Queensland winners. But most of those have been with tried horses, particularly stayers. This season he has about a dozen Queensland-based juveniles on his books, many of them eligible for the QTIS scheme. 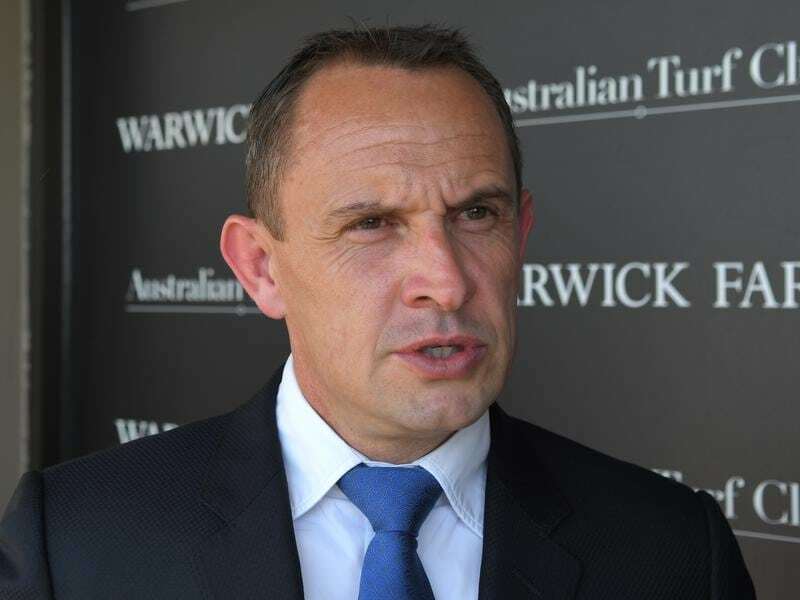 Waller’s Queensland manager Paul Shailer said the champion trainer was well aware of the advantages of the bonus scheme. Soldati is a case in point and will pick up $67,200 if he wins on Saturday. “Soldati has had two trials, winning one, so he is coming along,” Shailer said. The colt is raced by some of Waller’s biggest clients including Noel Greenhalgh, Max Whitby and Peter Tighe. Greenhalgh and Tighe are part-owners of last week’s Epsom placegetter Unforgotten while Tighe is also a shareholder in champion Winx. The colt is by first-season sire Better Than Ready, a multiple Stakes winner who now stands at Lyndhurst Stud on the Darling Downs. Kelly Schweida, who trained Better Then Ready, is also hoping the stallion can have an early comer with The Odyssey engaged in the same race. Another Better Than Ready youngster will be running for many more people than her connections when she makes her debut in the fillies division for two-year-olds. Betaima is one of six juveniles on the books of 2KT Thoroughbreds which aims to draw younger people into the sport. She is the first horse 2KT has had with leading trainer Toby Edmonds and Betaima will be ridden by stable jockey Ryan Maloney. Syndicate manager Sterling Cincotta said 2KT was keen to start the new juvenile season on a high as it had pledged 2 per cent of all of winnings to charity. 2KT had a great year in 2017-18 with horses such as Tipping, Accomplish, Unconditional, Bondi Boy and Forza. The syndicate has horses with several trainers including Edmonds, Michael Nolan, Chris Anderson, Darren Weir and Richard Freedman.